It’s well known that special interest publications and bookazines — which are newsstand sales-dependent (carrying little or no advertising), with substantial cover prices ($12.99 or above is typical) — have continued to generate strong retail sales growth. Exceptional sales for specific titles are not at all uncommon. Publishing executives on a “retail opportunities” panel at the 2018 Magazines & Books at Retail Conference, with deep experience in these newsstand-driven types of publications, shared insights about their editorial, distribution and promotion dynamics. The session was moderated by Bruce Sherbow, SVP at Penny Press. Sebastian Raatz — who, after a long career at Bauer Publishing last year launched Centennial Media, his own bookazine-focused publishing company — noted that all bookazine publishers are trying to tap into cultural moments, and that timeliness has become increasingly important. Centennial uses an unusual process to generate topic ideas, he reported. “We consume a ton of data from about 12 to 15 unusual sources,” he said. “For instance, we talk to TV production companies about what types of orders they’re getting from the networks. We tally up and cross-reference it with other data sources. When all or many of these sources are telling us the same thing, we know that it may be a topic that can fly on the newsstand. For Condé Nast, choosing topics for newsstand specials comes down to understanding the reader and being selective, said Leah McLaughlin, director of special interest publishing within Condé Nast’s content development group. “We don’t publish SIPs for every topic; we focus on where we have a unique voice and point of view,” she said. Consumers also expect the highest-quality writing, graphics and design from all Condé Nast publications. For this publisher, these factors are more critical than jumping on a topic immediately, she stressed. That said, McLaughlin reported that the company has greatly streamlined its processes in the three-plus years she’s been there, slashing SIPs' concept-to-publication timeframe from as long as 20 weeks down to just 10 days. For example, Bauer has published Men’s Health and Women’s Health SIPs on topics relating to the mindfulness trend — and will soon publish one for “the mindful mom,” Beaudry said. Still, Bauer does sometimes try new concepts, including a coming SIP in the food category that will have original editorial content, he reported. 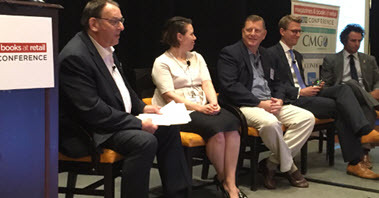 Beaudry and others on the panel praised wholesalers' performance in getting SIPs to market — including being as accommodating as possible on schedules. “Where we tend to fall down is display,” he added, noting that shrinking display space for regular titles can trickle down to the SIP/bookazine segment. “We need to build up the display space for SIPs by working with retailers, and conveying that strong topics and trends, like mindfulness, have staying power,” he emphasized. Tony Romando, CEO and co-founder of Topix Media Lab, said that his company — which often produces branded content via relationships with companies such as Lego and Disney — strives to repurpose content in multiple formats, including SIPs, books and custom content for retailers. Years ago, the simple novelty of the single-topic bookazine format helped drive sales, but today’s consumer is looking for a topic that truly speaks to one of his or her “passion points," Romando said. For example, Topix’s John Wayne Collectors line continues to be its biggest seller because there is a substantial male audience segment who believe they live by the “code” personified by the iconic star, he explained. The panelists also talked about the significant promise in creating custom SIPs for retailers--and Romando related a major success with one created for H-E-B. Knowing that a large part of its customer base is passionate about Selena, the Mexican singer who was slain by a fan more than 20 years ago, H-E-B approached wholesaler TNG with the idea for creating an exclusive Selena bookazine for the retailer, and TNG approached Topix to produce it. Romando said that producing and printing a relatively small press run SIP for a single chain would normally be financially risky. But in this case, H-E-B went all-out with promotion — deploying checkout pockets, billboards, displays with balloons, targeted email, online promotion and even a curbside pickup option, among other methods. As a result, the publication sold out. Romando also noted that, in his experience, the wholesaler is in the best position to know what a retailer wants because of their ongoing relationship. So for custom jobs, he relies on being approached by TNG, rather than trying to drum up projects on his own. “We’re working with Barnes & Noble on a special project now, and I think it’s because we put more investment in the relationship with the retailer, and maybe not as much in the pocket or promotion,” he added, noting that Topix can't compete with larger publishers when it comes to investing in securing retail displays. “Custom retailer projects are often loss leaders, but they open a door for us to be able to partner with the retailer, which is crucial,” he said. On the digital front, Romando said that when it’s producing and promoting SIPs on its own, Topix recruits teens that run sites or blogs about a particular topic, like Harry Potter, to produce some content for the publication and then help Topix promote the SIP to consumers through social and other digital media. “We’ve made some inroads in working with our digital players at Bauer, but it’s more about getting some consumer exposure for your SIP’s theme than it is actually getting digital media users to go out and buy it,” said Beaudry. Raatz suggested that publishers should work on attracting young talent, both to help with digital promotion and to identify topics and cultural trends when they’re on the upswing or still going strong.